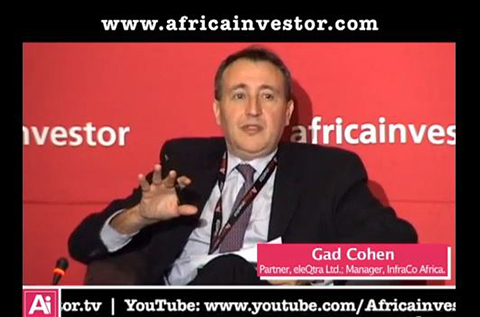 Gad Cohen, Partner of eleQtra presenting at The Africa Investor CEO Infrastructure Investment Summit, May 2013, on the issues facing project developers in sub-Saharan Africa. Two projects from eleQtra – a company that manages private and public sector funds to create infrastructure projects in Africa – have been recognised amongst the 40 best Public Private Partnerships (PPPs) in emerging markets by The Infrastructure Journal (IJ) and the International Finance Corporation (IFC). The Chiansi Irrigation Infrastructure Project in Zambia, which provides 3,800 hectares of irrigation infrastructure for food production in the Kafue District, and the Cabeólica wind power project in Cape Verde that delivers renewable energy to nearly 95% of the Cape Verdean population, were among ten projects recognised in Africa. Alignment of interests and a lack of good quality projects are major hurdles to developing projects in Africa but as Africa investor discovers, the right players with the right approach can change the landscape.